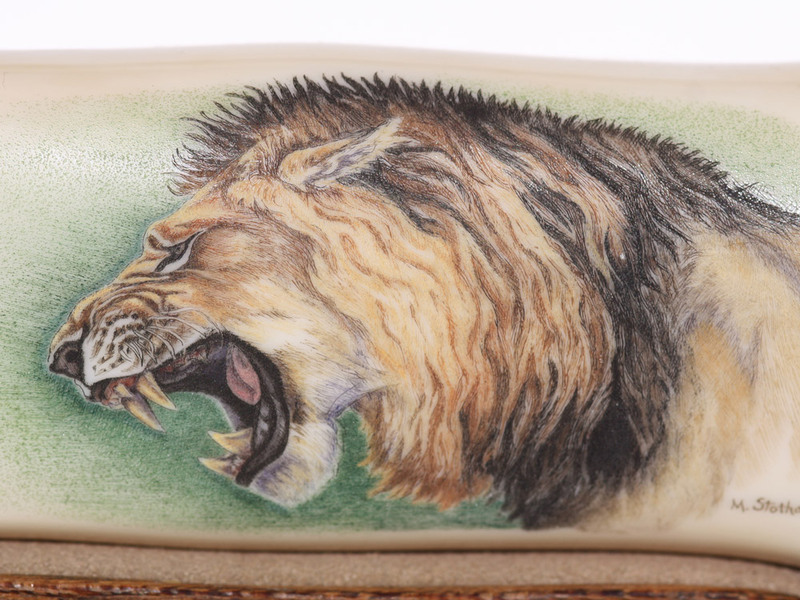 Color scrimshaw on ancient walrus tusk ivory by Matt Stothart. 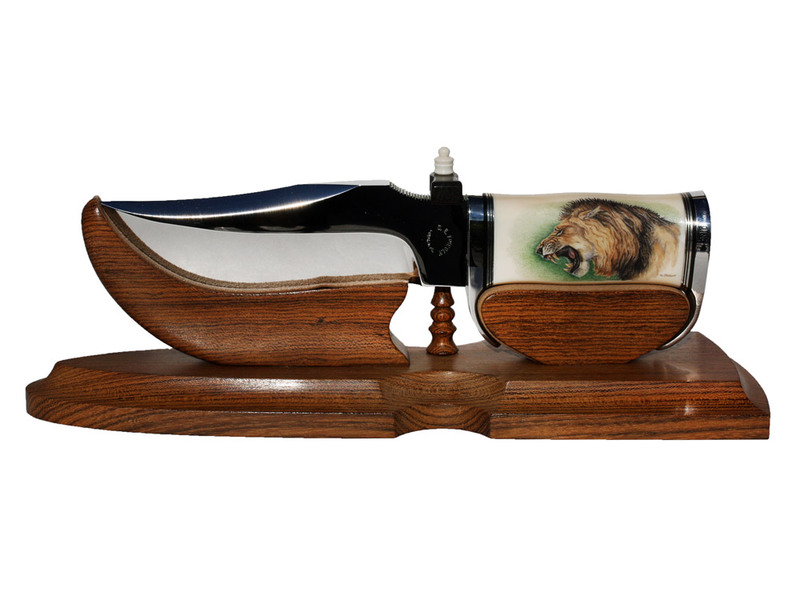 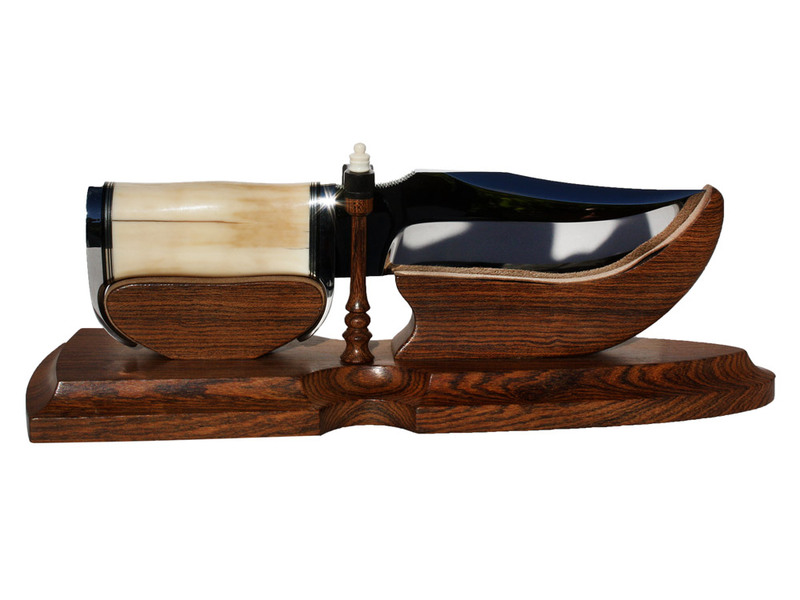 What an impressive piece-the knife, stand and scrimshaw! 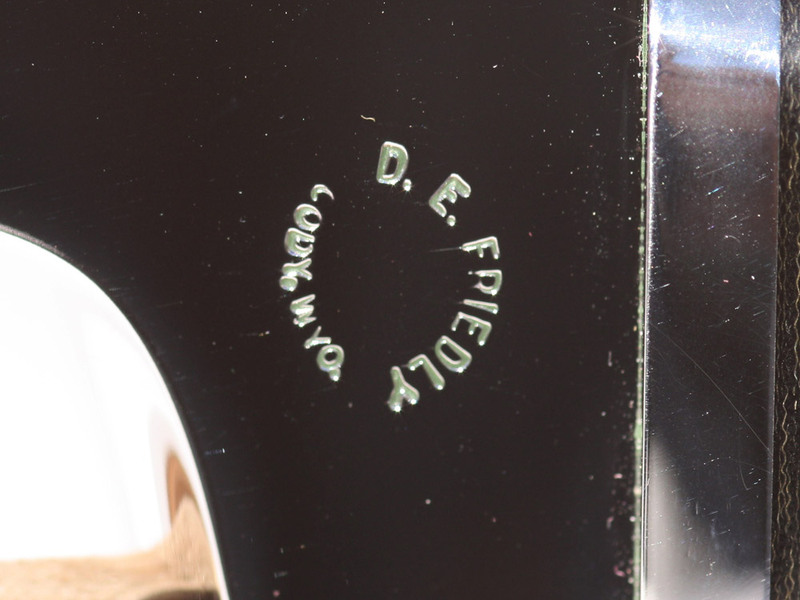 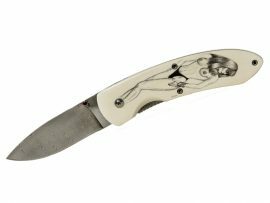 Custom knife by well known knife maker Ed Friedly using his “Elmer Keith” style of knife. 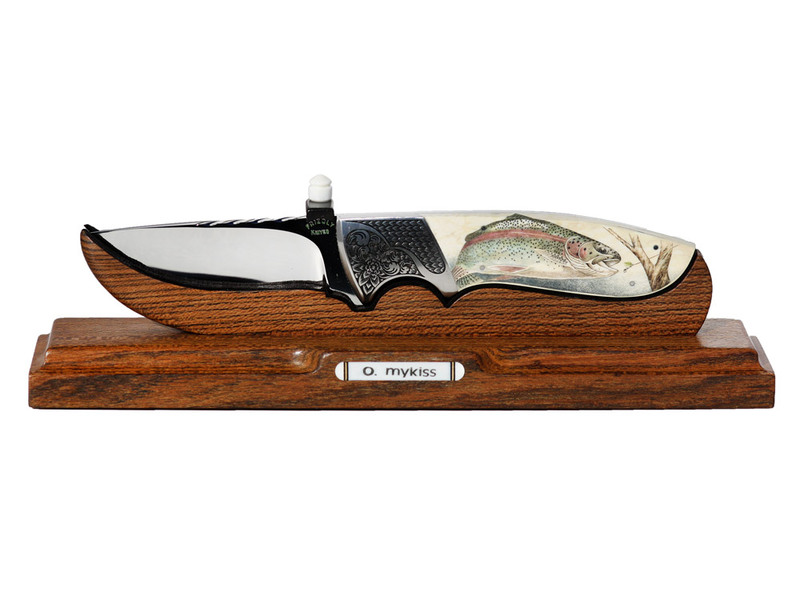 Just the knife itself is a work or art, but when you add the bocote wood stand by Cash and Stothart’s right on scrimshaw, then you have something special. 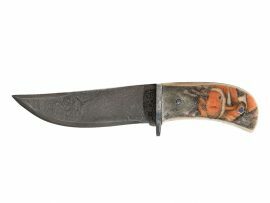 We don’t get many of these, but when we do, they go fast.